BRISTOL - With the high school fall season just about set to get underway, a pair of cross country runners from the area have earned the captain title at the collegiate level for this season. 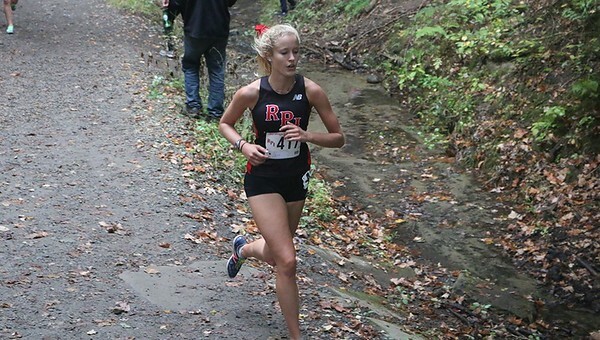 St. Paul alum Maddie Sturm at Rensselaer Polytechnic Institute (RPI) and Haley Knox at Eastern Connecticut State University were both given the recognition. Sturm didn’t compete in cross country at the high school level but has excelled in college for the Engineers. Sturm has competed in 13 events over the course of her collegiate career at RPI. Last year was an impressive one for Sturm as she finished in 14th place at the Liberty League Championship with a time of 23:43.4 in the 6K that she ran. It led to her earning All-Conference honors for the second straight season. Sturm also competed at the Atlantic Regional and finished in 29th place with a time of 22:50.5. She wasn’t done just yet though. At the NCAA Championship Sturm continued her ascendance at the school. She ran her season-best time of 22:31.5 and helped lead RPI to a 10th place finish at the Championship. Knox has continued her stellar cross country career that earned her All-Conference honors twice at Bristol Central. She was an All-Little East Conference selection in her freshman year in outdoor track and was a 3x Little East Conference selection in both indoor and outdoor cross country in her sophomore season last year. Posted in The Bristol Press, Bristol Central, St. Paul on Wednesday, 5 September 2018 21:09. Updated: Wednesday, 5 September 2018 21:11.